The site has a nice FAQ that describes her tools and how to learn how to do it. The Guardian has a good essay by Andrew Smith about Franken-algorithms: the deadly consequences of unpredictable code. The essay starts with the obvious problems of biased algorithms like those documented by Cathy O’Neil in Weapons of Math Destruction. It then goes further to talk about cases where algorithms are learning on the fly or are so complex that their behaviour becomes unpredictable. An example is high-frequency trading algorithms that trade on the stock market. These algorithmic traders try to outwit each other and learn which leads to unpredictable “flash crashes” when they go rogue. The problem, he (George Dyson) tells me, is that we’re building systems that are beyond our intellectual means to control. We believe that if a system is deterministic (acting according to fixed rules, this being the definition of an algorithm) it is predictable – and that what is predictable can be controlled. Both assumptions turn out to be wrong. The good news is that, according to one of the experts consulted this could lead to “a golden age for philosophy” as we try to sort out the ethics of these autonomous systems. I just learned about a new project called EaaSI | The Software Preservation Network. 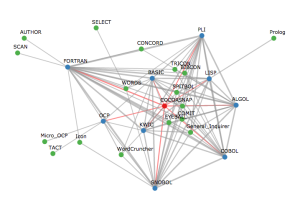 Stanford will be one of the nodes. They are looking at how to provide emulation as a service. They are using technology from Freiburg called bwFLA Emulation as Service. Emulation as a strategy for digital preservation is about to become an accepted technology for memory institutions as a method for coping a large variety of complex digital objects. Hence, the demand for ready-made and especially easy-to-use emulation services will grow. In order to provide user-friendly emulation services a scalable, distributed system model is required to be run on heterogeneous Grid or Cluster infrastructure. The Emulation-as-a-Service architecture simplifies access to preserved digital assets allowing end users to interact with the original environments running on different emulators. 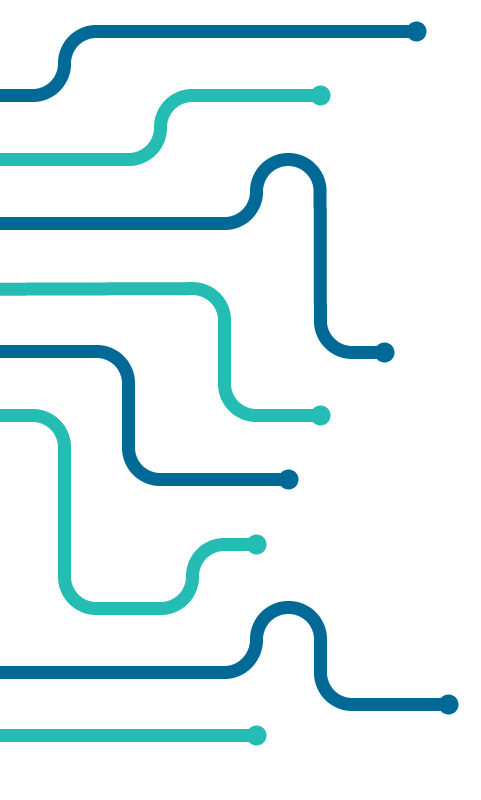 Ready-made emulation components provide a flexible web service API allowing for development of individual and tailored digital preservation workflows. Emulation is going to be important to game preservation. Already the Internet Archive is making games and other software available with emulation. There is also the MAME (Multiple Arcade Machine Emulator) project that is a community project that has traditionally allowed people to play older games right from the bit sequence off cartridges. I’ve been playing with DataCamp‘s Python lessons and they are quite good. Python is taught in the context of data analysis rather than the turtle drawing of How to Think Like a Computer Scientist. They have a nice mix of video tutorials and then exercises where you get a tripartite screen (see above.) You have an explanation and instructions on the left, a short script to fill in on the upper-right and interactive python shell where you can try stuff below. An article about authorship attribution led me to this nice site on Common Errors in English Usage. The site is for a book with that title, but the author Paul Brians has organized all the errors into a hypertext here. For example, here is the entry on why you shouldn’t use enjoy to. What does this have to do with authorship attribution? In a paper on Authorship Identification on the Large Scale the authors try using common errors as feature to discriminate potential authors. ProPublica has a great op-ed about Making Algorithms Accountable. The story starts from a decision from the Wisconsin Supreme Court on computer-generated risk (of recidivism) scores. The scores used in Wisconsin come from Northpointe who provide the scores as a service based on a proprietary alogorithm that seems biased against blacks and not that accurate. The story highlights the lack of any legislation regarding algorithms that can affect our lives. Update: ProPublica has responded to a Northpointe critique of their findings. What can we learn from the discourse around text tools? More than might be expected. The development of text analysis tools has been a feature of computing in the humanities since IBM supported Father Busa’s production of the Index Thomisticus (Tasman 1957). Despite the importance of tools in the digital humanities (DH), few have looked at the discourse around tool development to understand how the research agenda changed over the years. Recognizing the need for such an investigation a corpus of articles from the entire run of Computers and the Humanities (CHum) was analyzed using both distant and close reading techniques. By analyzing this corpus using traditional category assignments alongside topic modelling and statistical analysis we are able to gain insight into how the digital humanities shaped itself and grew as a discipline in what can be considered its “middle years,” from when the field professionalized (through the development of journals like CHum) to when it changed its name to “digital humanities.” The initial results (Simpson et al. 2013a; Simpson et al. 2013b), are at once informative and surprising, showing evidence of the maturation of the discipline and hinting at moments of change in editorial policy and the rise of the Internet as a new forum for delivering tools and information about them. Father Busa is rightly honoured as one of the first humanists to use computing for a humanities research task. He is considered the founder of humanities computing for his innovative application of information technology and for the considerable influence of his project and methods, not to mention his generosity to others. He did not only work out how use the information technology of the late 1940s and 1950s, but he pioneered a relationship with IBM around language engineering and with their support generously shared his knowledge widely. Ironically, while we have all heard his name and the origin story of his research into presence in Aquinas, we know relatively little about what actually occupied his time – the planning and implementation of what was for its time one of the major research computing projects, the Index Thomsticus. This blog essay is an attempt to outline some of the features of the Index Thomisticus as a large-scale information technology project as a way of opening a discussion on the historiography of computing in the humanities. This essay follows from a two-day visit to the Busa Archives at the Università Cattolica del Sacro Cuore. 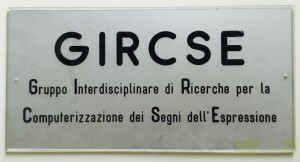 This visit was made possible by Marco Carlo Passarotti who directs the “Index Thomisticus” Treebank project in CIRCSE (Centro Interdisciplinare di Ricerche per la Computerizzazione dei Segni dell’Espressione – Interdisciplinary Centre for Research into the Computerization of Expressive Signs) which evolved out of GIRCSE (Gruppo not Centro – or Group not Centre), the group that Father Busa helped form in the 1980s. Passarotti not only introduced me to the archives, he also helped correct this blog as he is himself an archive of stories and details. Growing up in Gallarate, his family knew Busa, he studied under Busa, he took over the project, and he is one of the few who can read Busa’s handwriting.